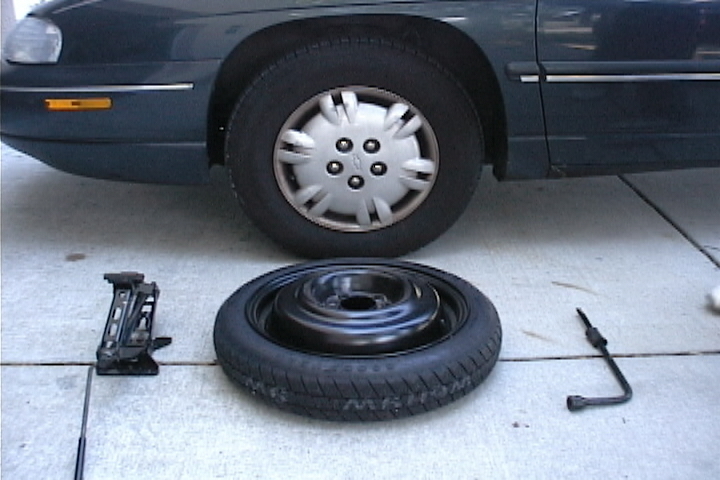 A spare tire is an extra tire that you keep in your trunk in case your vehicle gets a flat tire. Sometimes it’s a full-sized tire and sometimes it’s a smaller tire designed for temporary use until you get a new one. I remember the first time I changed a spare tire. I was in a mall parking lot searching for my friend’s car when we noticed a couple of pretty blondes with a flat. We walked over to help (and make small talk). I raised the car on the jack, and my friend and I took turns removing the lug nuts. We put on the new tire, tightened it up, and double-checked each nut to make sure it wouldn’t fall off. They had the smaller spare tire, the kind that’s only good for about fifty miles so we told them to go slow, be careful, and go to a mechanic as soon as possible. I mentioned to my friend later on that it was the first time I ever changed a tire and that I was glad he was there to guide me through it. He said he thought I was showing him how to do it and that he never changed a tire before either. They got home ok. I think. Fingers crossed. I’ve changed a few tires since then and everybody’s survived so I have a pretty good track record no matter what.